Everyone at my college is required to take a senior seminar in their major in order to graduate, and mine happened to be a class solely dedicated to reading the texts of Philip Roth. My professor decided to focus on Roth in light of the author unfortunately passing away in May of 2018. We were uniquely positioned, my professor impressed upon us, with the opportunity to look at the whole of an author’s bibliography before the publication of a definitive biography on Roth’s entire life. This sort of limbo period of waiting would allow us to come to our own conclusions about Roth’s bibliography before many critics of other writers did. 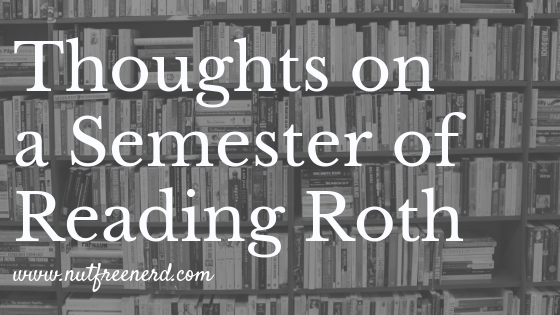 Of course, there was no way we could possibly get around to reading and discussing all of Roth’s texts in a single semester; rather, my professor selected about a dozen for us to focus on. It became clear from the very first class that our professor was incredibly enthusiastic and excited about the prospect of such a seminar. The rest of us, however, were not entirely convinced. We were supposed to spend an entire semester reading Roth’s thoughts on Jewish American identity in the latter half of the twentieth century, adultery, breasts, and penises?! (if you’ve read his infamous novel Portnoy’s Complaint, then you surely know what I mean by those last two points.) My classmates and I made a not-so-silent conclusion all on our own: we were going to wholeheartedly dislike this senior seminar. My fellow classmates and I didn’t know what to do with this sudden, uncharacteristically non-sexist portrayal of women from Roth. Was it intentional, a sign of Roth’s own personal growth and maturity? Or was it an outlier, one that we would never see again as we continued on our Rothian journey? Perplexed, we felt ourselves shift gears a bit as we read more and more of Roth’s work. To my great astonishment, I found that I actually enjoyed myself. While the women characters in Roth’s novels were not always justly portrayed–and we were sure to bring these instances up at every open opportunity–he also wrote several women who we couldn’t help but applaud. There was Drenka in Sabbath’s Theater (1995), Faunia in The Human Stain (2000), Philip’s mother in The Plot Against America (2004)… it was almost as though Roth had just come to the realization that women characters could be written about with just as much complexity and depth as men. Although I would never go so far as to laud Roth for his impeccable portrayal of fictional women. I did become much more willing to engage in dialogue about these characters that did not solely involve my classmates and I frustratedly ranting about how it’s all just breasts and penises in Roth’s eyes. Roth’s sexist struggles aside, I also found myself enjoying his work from the perspective of narrative structure. Reading so many Roth novels in chronological order helped me see the remarkable strides he made in terms of experimenting with how stories can be told. The conflicting, layered levels of The Counterlife and the alternative version of history depicted in The Plot Against America are far, far departures from the straightforward monologue that is Portnoy’s Complaint. I couldn’t help but admire his impressive attention to detail. One of my classmates researched the specific stamps mentioned in The Plot Against America and lo and behold, Roth’s descriptions perfectly align with the images found. There’s something to be said for a writer that pours this much thought, energy, time, research, and attention into his work, and I was captivated by Roth’s seemingly never-ending ability to do just that. So where does this leave Roth and I? I must admit that I stand corrected, at least to an extent: I handed in my final senior seminar paper with a greater appreciation for Roth’s works than I ever thought possible months ago. Does he have significant faults as a writer? Absolutely. Yet when read chronologically, one can see that he tried to remedy these flaws over time. And isn’t that the most any of us can ask? What are your thoughts on Philip Roth and his writing? Have you ever read an author’s works chronologically? Has a class ever changed your perception of a writer? Let me know in the comments section below! I’m currently in the middle of senior seminar all about Philip Roth. That’s right: I’ll be reading a dozen books by Philip Roth over the course of the next semester. In an effort to gather my thoughts on these similar yet disparate texts, I’ll be reviewing them throughout the upcoming months. How far will I be able to get without turning into Philip Roth himself? Only time will tell! 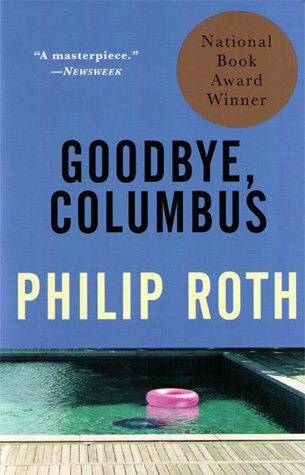 Published in 1959, Goodbye, Columbus and Five Short Stories is exactly what the title promises: a collection including Philip Roth’s first novella Goodbye, Columbus as well as five short stories. Although quite different from one another, these stories are tied together through the common threads of Jewish American identity, class, growing up, memory, tradition, and community. These themes prevent the collection from feeling disconnected or disjointed, making for a seamless reading experience in which the texts build on one another. Rather than continue to talk about this collection generally, I’ve decided to discuss each story more specifically in an attempt to do them justice. This novella is the first and longest part of the collection. Here Roth tells the story of Neil and Brenda, a college-age couple from different socioeconomic backgrounds in New Jersey during the 1950s. I was particularly interested in the way relationship dynamics are described, from conversations about family and the future to birth control. How things have changed since then! Focusing on a thirteen-year-old boy, this story questions religious authority and forces the reader to wonder why we insist on upholding the traditions that we do. While a bit bizarre (a common theme with Roth), the ending of this story made it all worth it. This is my favorite story out of the collection, perhaps in part because it was the most controversial of the bunch when it was first published. Roth has been accused of being anti-semitic by negatively portraying Jewish soldiers as manipulative, selfish, and conniving; however, one could argue (as I do) that Roth is simply writing about flawed characters that happen to be Jewish rather than trying to make a statement about Judaism. This story made me genuinely angry due to the overt sexism of the protagonist. At one point he describes the sagging, aged body of his wife and ultimately has an affair with the women who lives across the street, completely ignorant of the fact that his own aging body likely looks equally unpleasant, if not worse. While I understand the literary function of this sexism (Roth later exposes Epstein, forcing him to realize his own bodily flaws), it still is jarring and unsettling to read. I always forget about this story because it seems like an outlier in this collection. Nevertheless, the high school setting and convict characters are clever, hilarious, and make for a surprising and thought-provoking conclusion. Arguably the strangest story in the collection, Roth somehow makes its bizarre elements combine into one cohesive narrative. While I was left with the most questions after reading this story, they were questions that I didn’t mind asking myself. “Eli, the Fanatic” forces you to consider human difference, community, law, and tradition from new perspectives, providing this collection with the ideal conclusion. 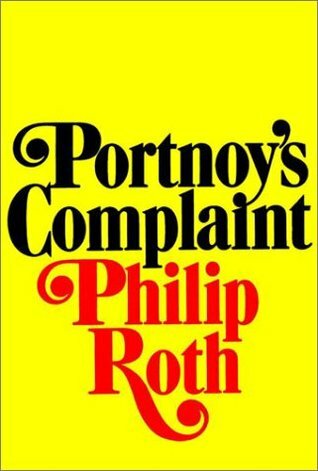 Overall, my first foray into Roth’s writing entertained, captivated, and frustrated me all at the same time. I’m looking forward to seeing how these short stories compare to the novels we will be reading as this Philip Roth seminar progresses. What are your thoughts on Goodbye, Columbus and Five Other Stories? 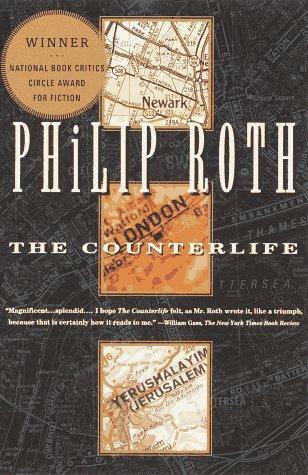 Do you have a favorite novel by Philip Roth? Let me know in the comments section below!